This is an exciting day at the chicken coop. soccer tryouts are about to begin. Chuck desperately wants to make the team. He tries his best but his legs are shorter than the rest of the chicks. Chuck refuses to give up, even though everyone else is laughing at him. Chuck comes up with a plan that just might provide a solution to his problem and help the team. This is a simple book with two lines of rhyming text on each page. Some of the rhymes come off as forced. Recommended for toddlers and preschoolers, particularly children who love soccer. This beginning reader has a lot going for it. The protagonist is a chicken who wants to do more than an average chicken. She decides that roller skating looks like fun. 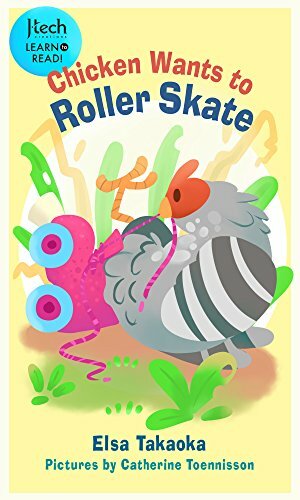 Chicken lays out the steps necessary to roller skate and proceeds to try. 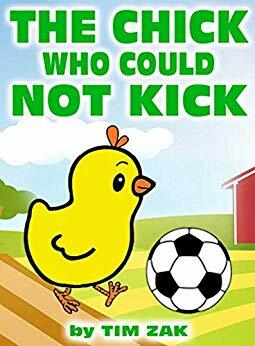 After falling down and feeling bruised, chicken gives up just as many children might do. When Cat begins to chase her, Chicken decides to try once more. Sometimes one must take a risk in order to succeed. Toennisson’s illustrations are humorous and cartoon-like, perfect for young readers. Takoda uses onomatopoeia effectively. Children will love reading the book aloud and imitating the sounds as they learn the vocabulary words. Recommended for all beginning readers, but I think readers in the five to seven year age range will enjoy it most. Look forward to reading more of this series. If you enjoyed reading this book, please subscribe by clicking on the word Follow or by hitting the orange RSS FEED Button in the upper right-hand corner of this page. 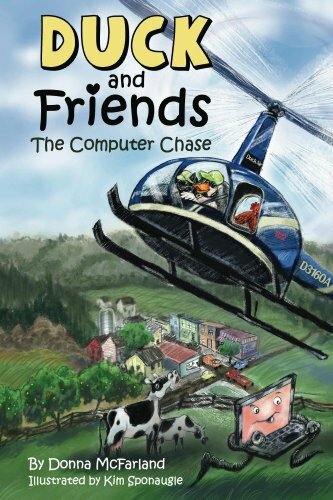 Sally Huss never seems to run out of ideas to inspire our youngest readers to think about what is really important. Eastertime is coming up soon, but it seems this year will be very different. While the other animals are already working hard, the star of the show is not! The pigs have been gathering grass, the dogs are mixing chocolate, the chickens are laying eggs, and the cats are dyeing the eggs. To their dismay, they find the Easter Bunny relaxing in a hammock, with a sign nearby that says he is cancelling Easter this year. Why? No one ever thanks him. The wise old owl comes to the rescue by giving the animals his advice. He suggests that the animals find a child to make the Easter Bunny feel more important. What is that message and will the animals succeed in finding the right child to give him that message? 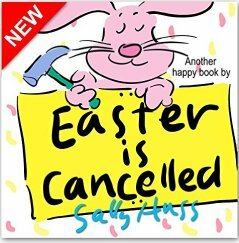 Exactly what does the Easter Bunny need to hear to change his mind and rescue Easter for all? Like most of this series, the book is targeted for children ages two through eight. This one is probably more geared to preschoolers. Bright, happy illustrations and a simple message will warm the hearts of young readers and the parents or teachers who are reading it aloud.